Kickstarter backers of Keiji Inafune's Mighty No. 9 are feeling a little burned. When its Spring release came due, Comcept pushed the release back to fall; when that September launch came on the horizon, the game was delayed until 2016. "We feel bad," producer Nick Yu told us earlier this month. "Really, really bad." The company knows its messed up, and agrees that backers deserve something for their patience. So they're getting something -- on September 15th, the game's second launch date, Kickstarter backers will get access to an exclusive demo of the Mighty No. 9's single player campaign. The backer-exclusive trial version will include four playable, complete stages from the final version of the game -- with all of the story-mode cutscenes intact -- six challenge mode stages and the option to enable an 8-bit soundtrack mode in the options menu. Players will also be able to pick from the game's full set of language options, including Japanese and English voice overs and subtitles in English, French, German, Spanish, Russian, Japanese and Italian. 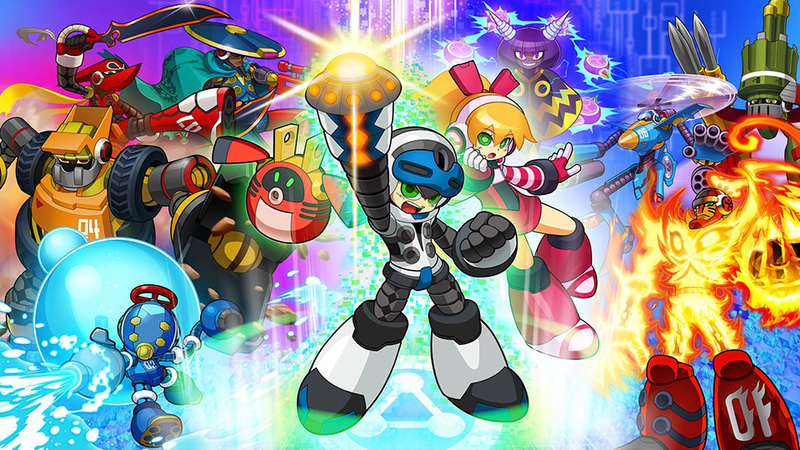 Finally, Comcept will be handing out Steam codes for Mighty Gunvolt, an 8-bit Inafune-style platformer starring characters from Mighty No. 9, Gal Gun and Azure Striker Gunvolt, to all Kickstarter backers on September 29th. It's not the full game backers may have been hoping for, but at least it's something. Does it quell your frustration? Let us know in the comments below and sit tight: Comcept says codes will land in backers' inboxes next month.